Traffic is unpredictable. Your brakes shouldn’t be. If they’re making noise or feeling abnormal, we’ll put an end to it. Driving wears down your brakes over time, and that can lead to big problems like screeching and slower stops. 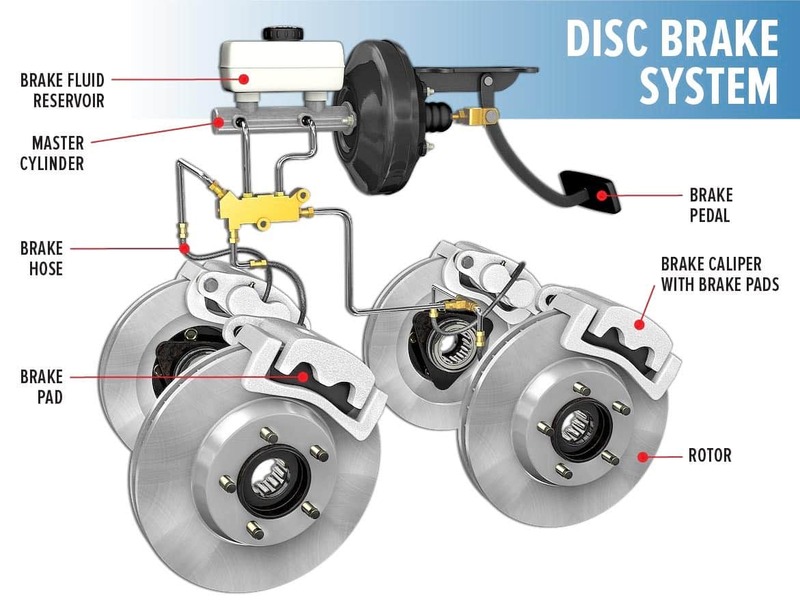 From worn brake pads and brake rotors to dirty hydraulic brake fluid, our technicians know what to look for, and how to service and repair your braking system. Brake pads don’t last forever. Every time the pads in a disc brake system come in contact with the spinning rotor, they wear down a little. Gradually, these brake pads become thinner and thinner.Brake pads and shoes are normal wear and tear items and wear down over time. Don’t wait too long to change your brakes, delaying could cause your brakes to touch rotors metal on metal. You may be in need of new rotors at that point. Delaying further could cause damage to Brake Calipers as well if not serviced on time. Because brake lines carry brake fluid from the master cylinder to various other components in the brake system, it’s important to keep them in good shape. Brake lines should never look frayed, cracked, brittle or corroded. Sometimes brake lines can become worn from rubbing against metal parts of the car or even another brake part. Pay close attention to the areas of the line that come in contact with other components. Any leaks should be dealt with immediately — before the car is driven. If you can’t fix the leak on your own and without driving the car, you should have the car towed to a licensed repair shop. Malfunctioning brake lines are nothing to fool around with.